Exclusive North East Holiday Package | Call On +91-993.702.7574 For Booking. 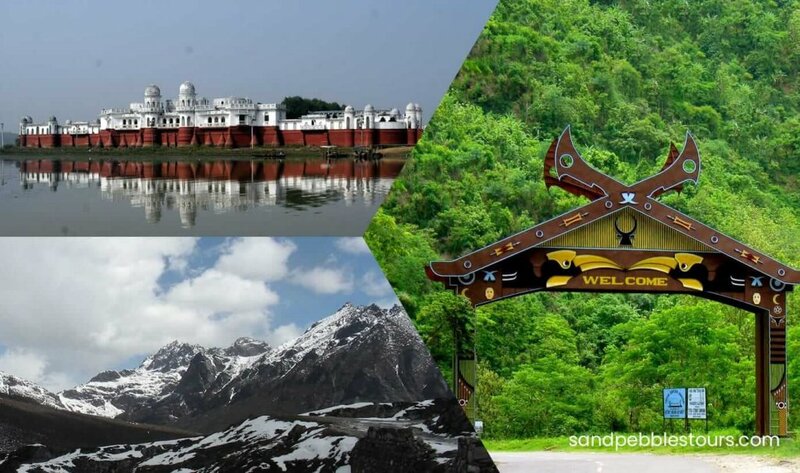 The North East Region of India is no less than a paradise on Earth and that’s the reason tourists all around the world are attracted to this region most of the time. Our Exclusive North East Holiday Package ensures to deliver quality tour packages to its travellers. Consisting of 7 states, also called ‘Seven Sisters’, North East India is a scenic treat for all kinds of travellers. It has its own charm that will sweep you off your feet! A region of rugged beauty, it’s a wonderland where glacial rivers flow through plunging Himalayan gorges, faith moves mountains on perilous pilgrimages to Tawang, rhinos graze in the swampy grasslands of Kaziranga and former head-hunters slowly embrace modernity in Nagaland. The Exclusive North East Holiday Package will let you gain an experience you never had. Culturally and geographically, North East India is distinct from the rest of the country and the same is evident in the lifestyle of the country. The warmth of the Blue Mountains, breathtaking greenery, dense forests, wildlife treasure troves, living culture and alluring handicrafts will leave you with unforgettable memories, and the Exclusive North East Holiday Package assures of that. The Northeast seven sisters are Known for natural beauty, and for tribal cultures, climates, landscapes and peoples & Exclusive North East Holiday Package is the only place for you who can show you the Real northeast. On arrival at Bagdogra Airport, (500Ft / 150Mts) will be received by our Office Executive who will assist you to board your vehicle to Gangtok (5500 Ft /1677 Mts, 130 Kms / 04 to 05 Hrs). Check-in and overnight at hotel. After breakfast, in the morning, start for excursion to Tshangu Lake – situated at a height of 12400Ft / 3780 Mts / 43Kms in 3Hrs one way, with an average depth of 50 ft. The cool water of the Lake is perfectly attuned with the scenic beauty around. Back to Gangtok and Overnight at hotel. (In case of land slide or any other reason if Tshangu Lake is closed we will provide alternate sightseeing). Morning go for a half day sightseeing covering Jhakri Water Falls (04 hrs) along with Droul Chorthen, Research Institute of Tibetology, Directorate of Handicraft & Handloom (Closed on Sunday), Flower Show. Afternoon transfer to Darjeeling (7380 Ft / 2250 Mts, 115 Kms / 05 to 06 Hrs). Overnight at hotel. After breakfast proceed to (IXB) Bagdogra Airport (100 Kms / 03 to 04 Hrs) for Guwahati. Upon arrival at Guwahati airport drive to Kaziranga. Overnight at hotel. Early morning elephant ride (starts from 0500 hours) for an hour. After lunch one jeep safari. Overnight at hotel. After breakfast drive to Shillong. Check-in to hotel and rest free. Overnight at hotel. After breakfast excursion to Cherrapunji. Overnight at hotel. After breakfast drive to Guwahati. Check-in to hotel and later on visit of Kamakhya Devi Temple and Sankardev Kalakshetra. Overnight at hotel. After breakfast, departure transfer to Guwahati Airport for onward journey.